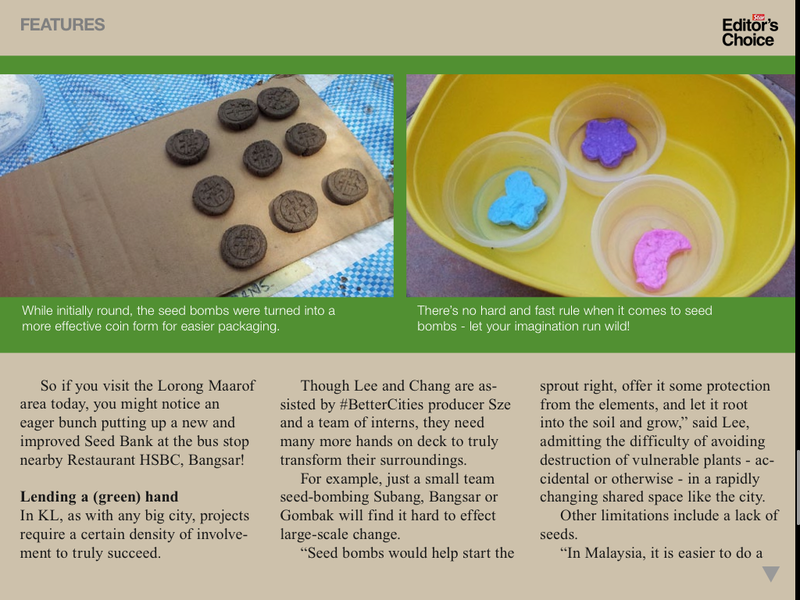 Reflecting on the seed bombs made not too long ago, they were made with the primal pretext of survival and growth. Seed choices needed to be hardy and fast in growth as the urban jungle was a tough place to be. But plants can really do more than that. 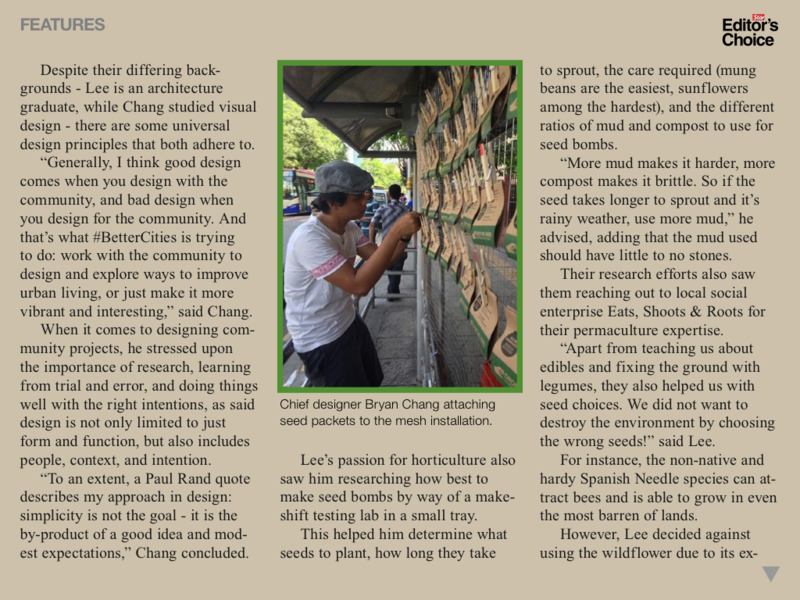 So this time, we rigorously worked on our seed choices with the nice people at Eats, Shoots and Roots, engaging a deeper set of obstacles in the urban environment. 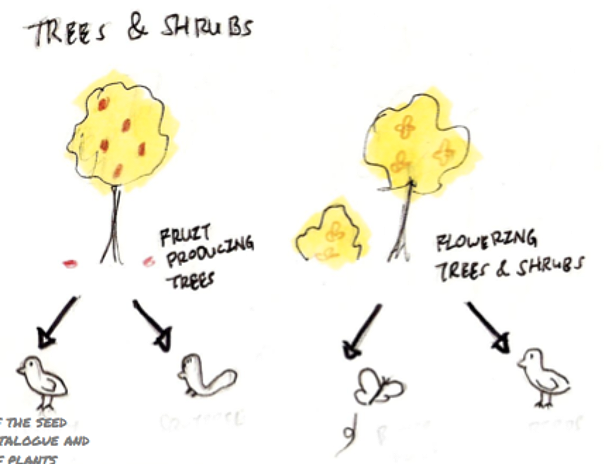 We realized that plant choices could be used to tailor the urban environment we see every day. There were some plants that are good at attracting wildlife; some at rehabilitating the soil and other that are edible. Beneficial weeds are extremely hardy and are commonly found among wastelands. They have the ability to nurse the wasteland for slower growing species to succeed them. 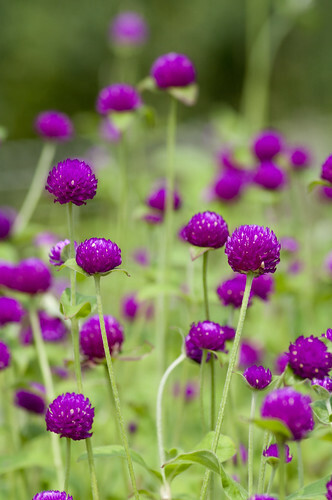 Although there are many beneficial weeds, we have chosen the Globe Amaranth because of their downright beauty. The Globe Amaranth or locally known as ‘bunga butang’ is a naturalized hardy flowering plant that grows well in our wastelands. It is a great companion plant that takes care of its smaller and more delicate plants. And since it flowers, it will look great! 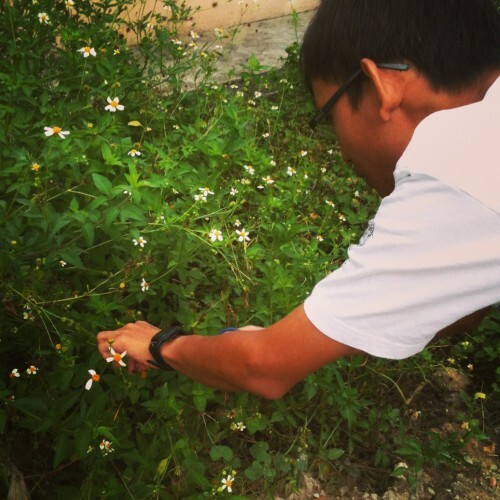 Flowering plants are an extremely important part of the urban ecosystem. Flowers attract bees and are especially important when we note that bees pollinate every third bite you eat. With no bees in the city, there will be fewer flowers and fruits in town and urban farmers will have to pollinate their crops by hand. This quality will benefit the papaya plant in our seed lineup once it is ready to flower or fruit. Diversity of wildlife in urban environments is exceptionally important. Having oversight in this such as mono-landscaping or single tree types can be devastating especially with plant disease outbreaks and the overpopulation of urban pests such as crows. Problems like these waste valuable resources and the lowers of the quality of life for many. We must note that everywhere, plants and animals live together. Some feed on the plants they live with; others eat other animals they live with. If it were not for some of them, many plant eating insects and animals will end up eating entire plants. With no food or shelter for natural enemies, pests will take over the area. While nature usually finds way to reach equilibrium and heal itself, urban settings changes too quickly for nature to keep up. It therefore falls to the humans to come in and help nature out a little. This is the mantra of the urban gardener. Fruits and edibles grown in neglected spaces can supplement diets and easily offset weekly grocery shopping bills (or turn you a profit at the ‘pasar malam’). If left unharvested, the fruits will attract squirrels and birds. Here we have chosen mung beans and papayas. Green beans, like most legumes are nitrogen-fixing plants and very fast growing. When cut before flowering, mung beans will release nitrogen into the soil. Unlike other beans, green beans are able to grow on their own and do not require supports. 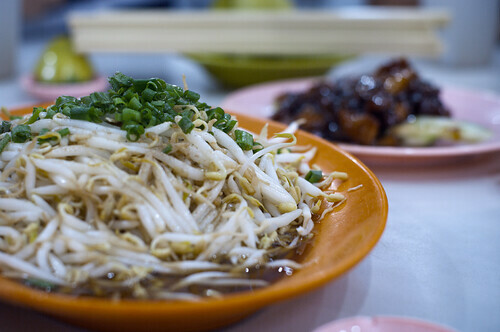 Almost every part of the plant can be used in cooking, leaves, beans and sprouts… yes bean sprouts or ‘tauge’. Lastly there is the papaya, a great tasting fast fruiting plant that has a lot of uses from its non-edible use to prop up roadside kenduri decorations (i.e. the ‘Bunga Manggar’) to the use of the green fruit in meat tenderizing. Make pickles out of it or just eat it fresh. Papayas also attract birds that love to feed on the ripe fruit. A fun fact about the papaya is that only the female plants bear fruit. Hitting a male plant or injuring it sufficiently will cause the male plant to switch to a female and start fruiting. This odd phenomenon is a natural defense response of the plant to ensure the survival of its species. 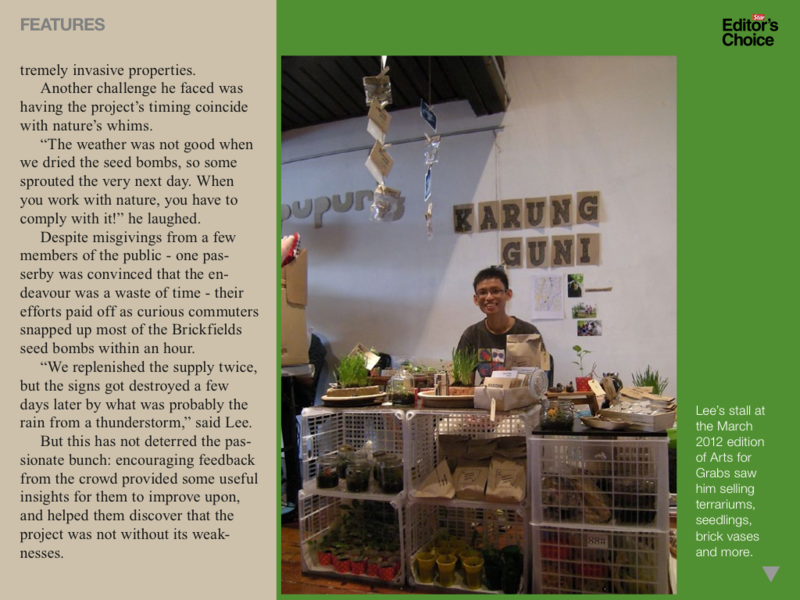 The Seed Bank project is part of the While We Wait series supported by The Embassy of Finland, Malaysia. 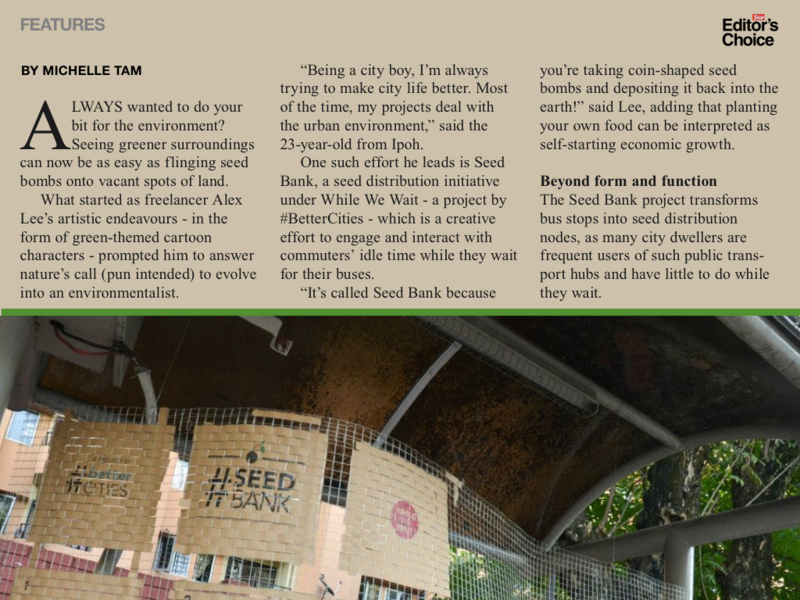 The Seed Bank project is focused on raising awareness to the growing urban gardening movement in Kuala Lumpur. The project will see its implementation at the bus stop in front of Restoran HSBC along Lorong Maarof in Bangsar and at the Palm Court bus stop along Jalan Sultan Abdul Samad, Brickfields from February 1, 2013 and hopes to see a better urban environment for everyone in the city. Alex Lee is an urban explorer, DIY dude & greenie. He is constantly exploring, observing and apply interventions to cities to create conversations. Alex Lee believes the city is a living thing. Our recent While We Wait project, Seed Bank, is the cover story in The Star Editor’s Choice today. 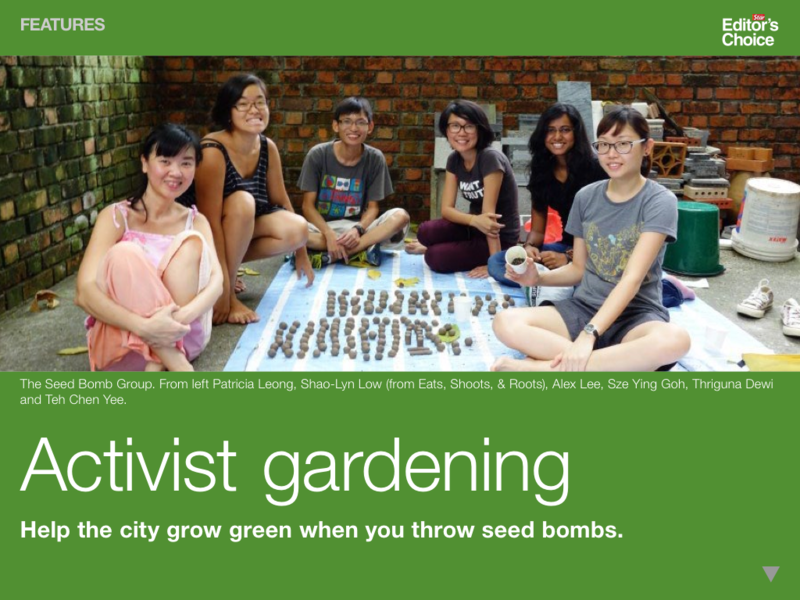 Team #BetterCities is also deploying Seed Bank (Part 2) this afternoon (between 4pm – 6pm) at a bus stop along Lorong Maarof, Bangsar. 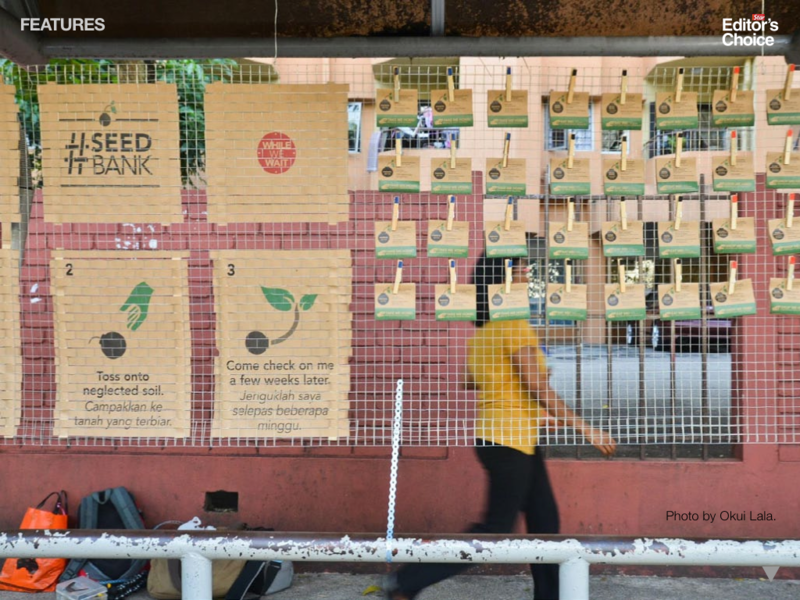 If you are in the ‘hood, pop by, grab a seed packet, snap a pic! our dedicated and hardworking interns: Nicole Tan (installation, video documentation), Okui Lala (installation, photography), Ivan Ng (installation) and Kyle Soong (video documentation). We would also like to thank Michelle Tam for the story. Have you seen those empty lots on the streets of our cities? Have you ever felt the forbidden urge to see them planted with trees instead of bare concrete? Seen those neglected planter boxes? Now you can do something about it! Come join the Seed Party and learn how to make seed bombs! At the seed party, plants are our biggest clients, we fight for their rights to be in the concrete jungle and our biggest tool is the ‘seed bomb’. So what is a seed bomb… does it explode? Well, no… unfortunately… A seed bomb is just a thing that holds the seed and the required nutrients for the plant to have a kickstart! It is good to note that our biggest enemies are the seed stealing crows. Plants face a lot of opposition from a lot of things, from bad soils to hot weather. But all these can be converted into positivity if the plants were to be given a place in the concrete jungle! The right plants can fix bad soil, cool down the weather and have enough food for nice wildlife! 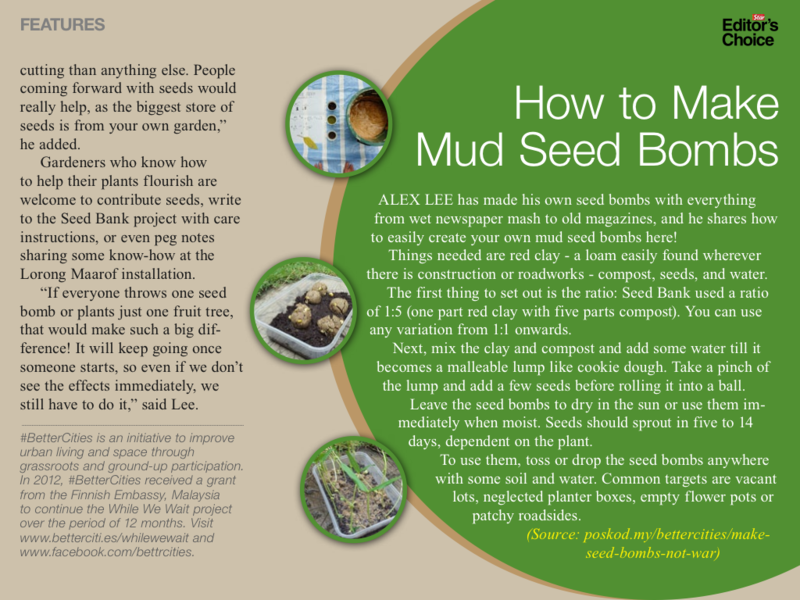 So this is how to make a mud seed bomb. Our very own homecooked recipie. You are probably wondering where to get that red clay. 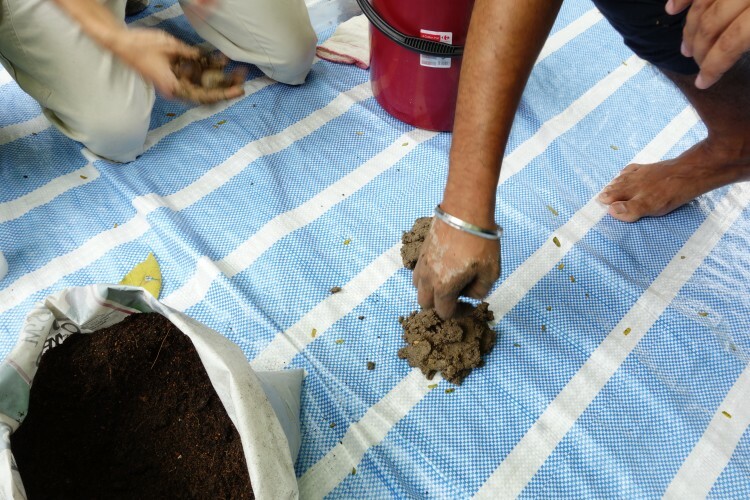 Red clay is that clayey loam you can find at the bottom layer of your garden beds or more easily avaliable whenever there is construction or roadworks around. There is never a shortage of that in the city. We got ours from one of the mass transit projects. The first thing to set out is the ratio, here we used a ratio of 1:5 that is 1 part red clay with 5 parts compost. You could use any variation from 1:1 onwards. The trick here is to balance the amount of nutrient (compost) with the holding power of the clay. Too much clay may make it difficult for the seed to push its way out but too much compost will cause the seed bomb to breakup too easily, allowing birds to pick on the seed and defeating its purpose of protecting the seed till its sprouted. If in doubt, 1:1 is a good way to start. 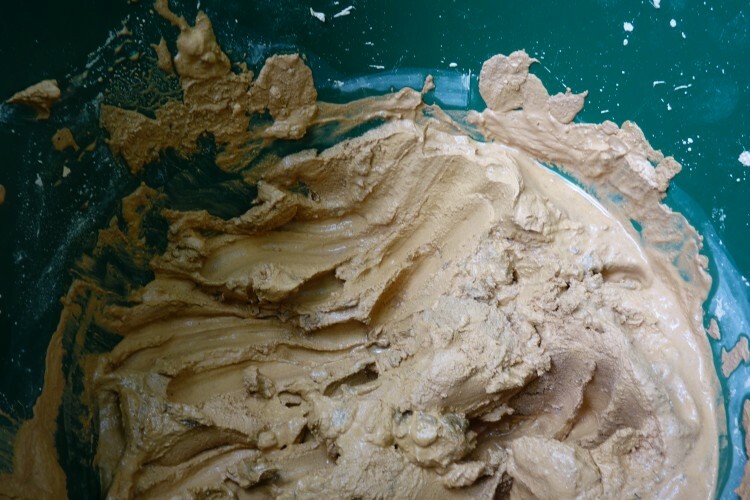 Next you mix the clay and compost together and add some water till it becomes a malleable lump like cookie dough. Take a pinch of the lump and add a few seeds before rolling it into a ball. 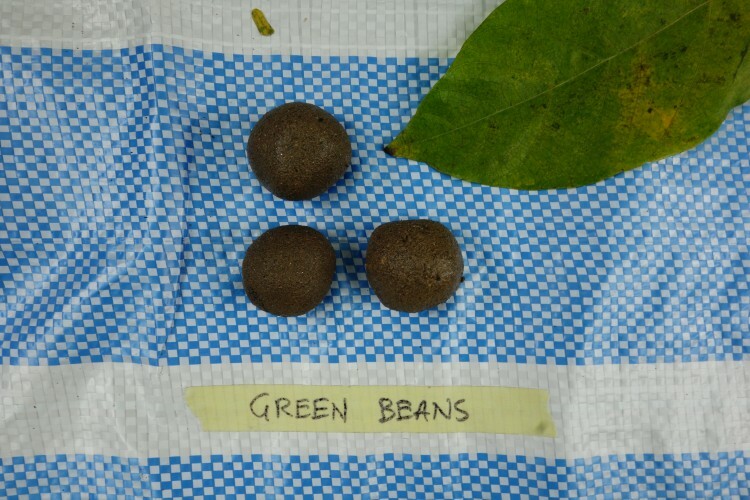 Leave the seed bombs to dry in the sun or use them immediately when moist. Seed should sprout in 5-14 days, dependent on the plant. Instead of making balls, you can make sticks (to throw further) or press them into coins or even in cookie cutters for exotic shapes. We like them round, they don’t break easily when round. To use them, you can toss or drop the seed bombs into any places with some soil and water. Common targets are vacant lots, neglected planter boxes, empty flower pots or those patchy roadsides. Alex Lee is an urban explorer, DIY dude & greenie. He is constantly exploring, observing and apply interventions to cities to create conversations. Pint-sized but feisty, he is currently one of #BetterCities’ collaborators, leading our While We Wait project in Greater Kuala Lumpur. Alex believes the city is a living thing. A lot of time is spent waiting everyday, especially on commute. What is worse is the boredom. Time is proven to be relative especially during those days when minutes seem like hours without that good Ipod music. Gosh! Why did I leave that at home? Thankfully the people at #BetterCities have come up with a myriad of strange, out-of-norm interventions in the most familiar of spaces: bus stops. The project, While We Wait, consists of creative, interactive activities devised to address and interact with commuters’ idle time while they wait for their bus to arrive. 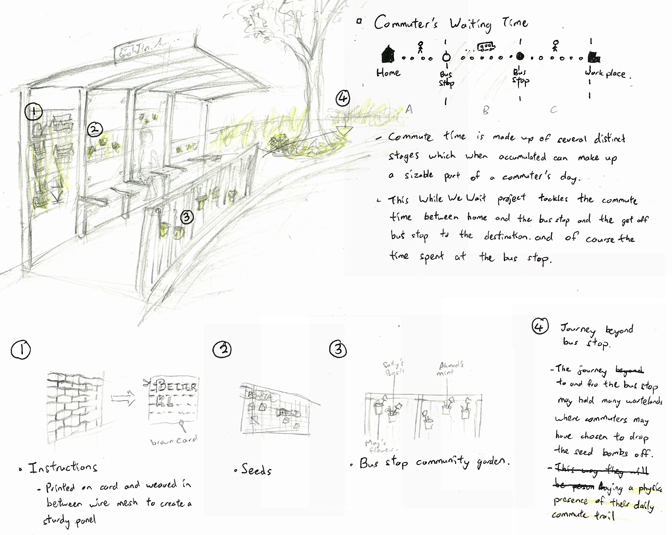 This time #BetterCities is working on a seed distribution bus stop, effectively transforming an everyday ordinary bus stop into a ‘guerilla gardening’ node. For those uninitiated to the world of ‘guerilla gardening’, it is just a bunch of self-initiated people who look to rehabilitate neglected spaces with plants. We started out very simply hoping to see a green bus stop (one with a vertical garden wall or a green roof), but it soon turned out that just a greener bus stop will not have you (participants) spend your waiting time effectively. 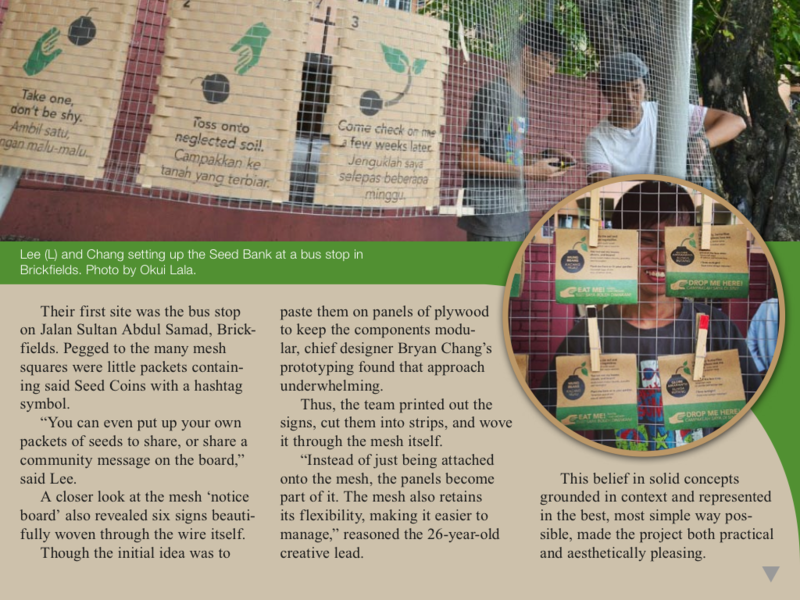 Thus we had an idea, what will happen if we turned the bus stop into a seed bomb distribution centre, on top of a transportation node? 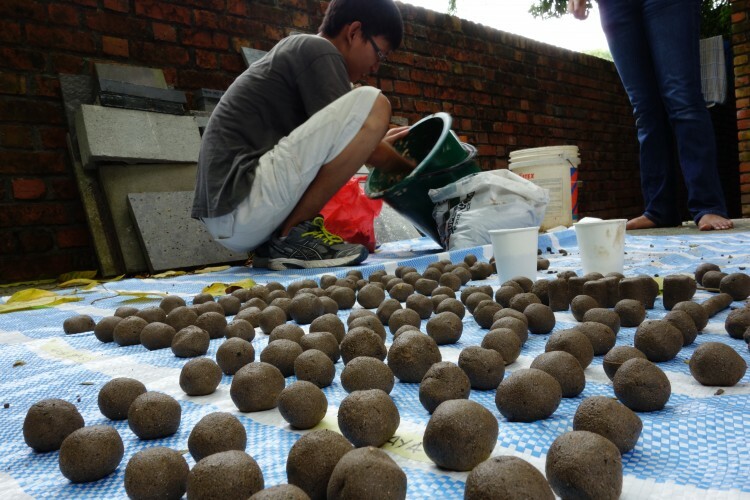 Will people drop the seed bombs onto neglected spaces along their commute? Will the nearby scenery of the bus stop change in a few weeks? Will people come back and check on their plants every time they commute? Or will someone steal all the seeds for their own evil purposes? Haha! It soon became clear that we had to try it out. It will be a social exercise in the act of allowing the community to stake a physical claim on the bus stop, through plants, at a very public space, the bus stop. On any other normal day, their temporal physical presence is the entire physical claim they have on the space. This not only means that we are using their waiting time effectively but stretching out the evidence of well used waiting time for all KLites to see.